Zach Loescher sounds really excited sharing his awesome experience with Viral Content Buzz in his video review of the platform. 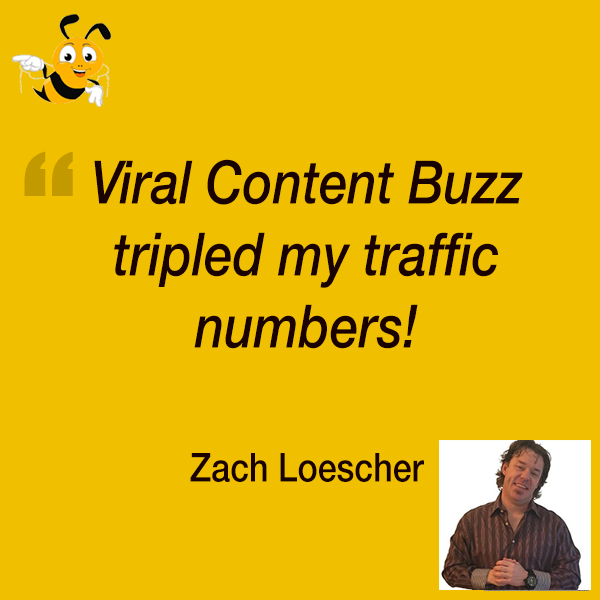 I’ve found an awesome platform Viral Content Buzz… Super-awesome! Thank you, Dr. Lisa Thompson, for sharing this tool on your blog. I can’t speak enough! Even this morning I’ve already basically hit the number of views I was usually getting in the full 24 hours… and I hit that before noon already. Obviously, our whole team is very pleased to receive feedback like this! This means we are doing something right here!